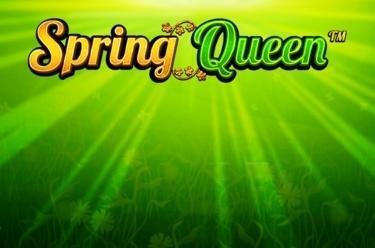 Play Spring Queen™ online for free now! Grow your winning plantlets into mighty oaks laden with Twists in Spring Queen! The Queen of Spring will let you into a secret - how to breath life into your spins and reap a rich Twist harvest. If you enter the realm of free spins with the empress you will be rewarded with more bonus rounds and symbols that can be upgraded! You need 5 matching symbols on one of 40 lines to grow your winning plants. The winning patterns that run from left to right across the reels, cannot be interrupted with other symbols between them. The Spring-Queen-Logo is the Wild symbol that substitutes all symbols except for the Scatter symbol. The mystic crystal ball is the Scatter: The Scatter can appear in any position on the reels and trigger 10 free games when you land at least 3 of them. 10 free games are triggered by 3, 4 or 5 Scatters (crystal ball symbols) in any position on the reels. 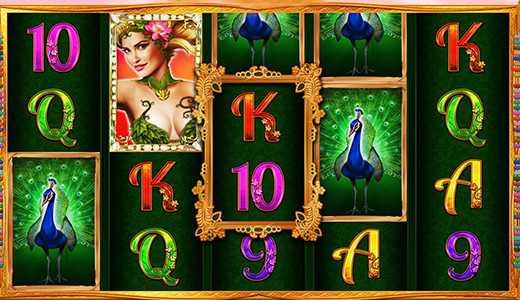 The Empress of Spring will graciously grant you her Spring-Queen-Bonus during the free spins: When the peacock lands in the 2nd and 3rd position it is turned into a black horse. If the horse appears during the next spins in the center position on reel 3 it turns into a leopard and then a spring beauty. The converted symbols come with bigger winnings and grant you further free spins with every upgrade (1, 3 or 5).